I recommend visiting some of Budapest museums which can be a wonderful insight on the city, its culture, history and peoples. Depending on your own personal interests, there can be a number of must-see museums to encounter, explore and enjoy. The museums in Budapest are well maintained and cover a wide array of different themes from music, art, history and much much more! What are the Opening Hours of Budapest Museums? I have no doubt that each and every one of you will already have an idea of the type of museums that you would like to visit but the questions of opening hours and entrance fees still arise – don’t worry because I can advise you on the best times to visit and give you some essential guidance on the entrance fees and special considerations for exhibitions. With over one hundred museums, you can come any time of year and be amazed by exhibitions on both a grand scale and those that a smaller but all the more special and unique. The majority of Budapest museums are closed on Mondays but some choose to close on a Tuesday instead – so always check individual schedules before you show up on these days.They are open from 10:00 am to 6:00 pm, but keep in mind that during winter hours are usually shorter. The larger, more popular selection of museums always have interesting exhibitions – some permanent and others that are put up for a certain period of time. For more information on current exhibitions at any given museum, I suggest that you look at their website to find out the times and dates. 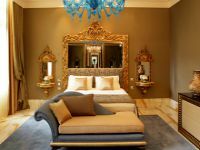 I would really advise you to go beyond just the main museums and discover something more unique and of special interest to you such as the Stamp museum, museum of Thermal Baths or the museum of Hungarian theater and actress Bajor Gizi. 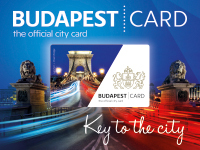 Most galleries and museums charge admission fees for visiting both temporary and permanent exhibitions, so if you plan on visiting a lot of different Budapest museums, I recommend you buy the Budapest Card. With the Budapest card you can get discounts on a range of exhibitions at your favorite museums. 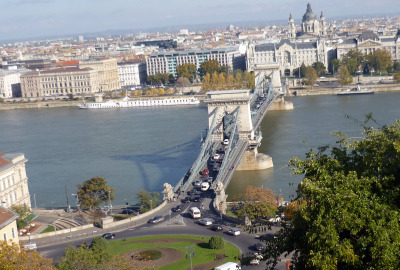 Otherwise, if you are over the age of seventy or have children under the age of six, they will gain free entry to museums and all others have to pay a small fee of around 800 to 1500 Hungarian Forint. 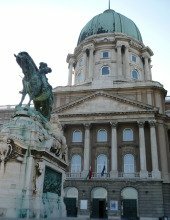 T have made a list of the best Budapest Museums, hopefully it helps you to choose which ones you want to visit during your stay in Budapest. 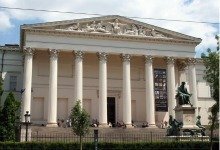 The Hungarian National Gallery houses the largest public collection of Fine Arts in Hungary. This collection covers both the history of Fine Arts in this nation and how it continues to develop. Displays include medieval and Renaissance stone carvings fragments of 11th-15th century, architecture and marble carvings from king Matthias’ palace, great collections of late-Renaissance and Barroque art. Also, it exhibits 19th-century collections which display the main strains of Romanticism and Arts of the first half of the 20th century. The Hungarian National Gallery is located in the Royal Palace of Buda. 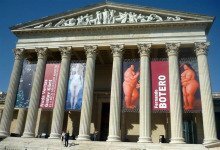 Check the Hungarian National Gallery website for information on temporary exhibitions. 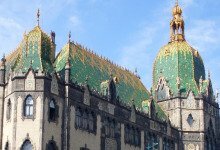 The Museum of Applied Arts is housed in a glorious Art Nouveau building and I rate this highly as one of Budapest’s must-sees. Exhibitions show fabric, textile and costume design, art collections, works using glass, pottery and porcelain. This museum gives a magnificent overview of the development of the crafts from the Middle Ages onwards. 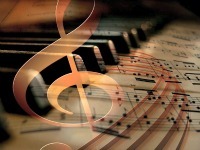 Collectors and Works of Art is a permanent exhibition that features the creation and history of this museum. Check the Museum of Applied Arts website for information on temporary exhibitions. This museum consists of three museums: the Castle Museum(located in the Buda Castle), the Kiscell Museum (located in the III District- Obuda) and the Aquincum Museum (located also in the III District- Szentendrei út). Exhibition highlights include Gothic sculptures from the Royal Palace of Buda, Budapest’s prehistoric era, the Baroque sculpture hall and the medieval Royal Palace of the Buda Castle. 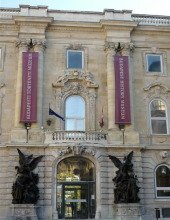 Check the Budapest History Museum website for information on temporary exhibitions. One of the oldest and best collections of transport in Europe – this museum is a must-see for trainspotters! I also recommend the permanent exhibitions on flight, space flight, sailing and the collection of old cars and bicycles. 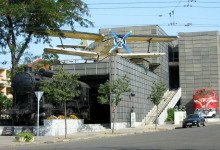 Check the Budapest Museum of Transport website for information on temporary exhibitions. I think this is a wonderful museum to visit a collection of Viktor Vasarely’s works. Viktor Vasarely was a world famous Hungarian painter who lived in France from an early age. 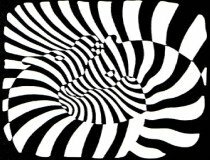 Vasarely became famous for his Optic-Art, which is one of the XIX century’s most interesting directions within three dimention art. The gardens are also nice to wonder around and there are some marvelous views of the Obuda’s Zichy Palace. Check the Budapest Vasarely Museum website for detailed information. Saddening as it is, the Holocaust Memorial Center was set up in the memory of those victims of the holocaust in Hungary. A very educational experience and a complete collection that continues to grow – an absolute must-see in my opinion. The center houses a permanent exhibition, local and international temporary exhibitions, a research center, a synagogue and a bookshop with a wide selection of excellent English books. Displays include audio/visuals, posters, time-lines,personal stories, documents, and artifacts. 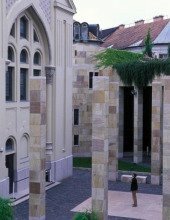 The courtyard is surrounded by an 8 meters glass wall where the names of Hungarian victims of the Holocaust are engraved onto. Check the Holocaust Memorial Centre website for detailed information. I recommend this to any visitor interested in the contemporary art of both Hungary and on an international level. Don’t miss important works from Picasso, Warhol and make the most of your visit by seeing unique temporary exhibitions from alternative European artists. This museum is located in the Palace of Arts of Budapest and it is Hungary’s only museum dedicated exclusively to the collection and display of contemporary art. It houses a significant collection of modern international and Hungarian fine art. Take advantage of the free admission on the last Sunday of every month for visitors under 26 years. Address: 1095 Budapest – Komor Marcell u. 1(Palace of Arts). 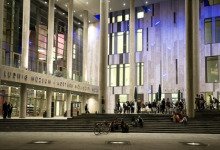 Check the Ludwig Museum of Contemporary Art website for detailed information. Take a glimpse into the history of Hungarian social life and culture. The permanent exhibition displays a collection related to the Hungarian National Floklore of late 19th century and early 20th century. The exhibition features artifacts, craftwork, ceramics, clothes, embroidery and everyday items that belonged to people from the region. The building itself is very elegant with marble staircases and large, spacious galleries with information in English. This beautiful eclectic palace was designed by Alajos Hauszmann and was finished in 1896. It served as the Supreme Court until 1949. There are up to 20 temporary exhibitions all year round including the World Press Photo Exhibition. Address:1055 Budapest, Kossuth Lajos tér 12. Check the Museum of Ethnography website for current exhibitions. Another superb offering from Budapest. The museum of Fine Arts houses Hungary’s premier collection of international art dating from antiquity to the 20th century. On the Ground floor there is the section dedicated to the Greek and Romans; here sculptures, pottery and artwork are on display. In the basement you will find the Egyptian section where mummies and painted sarcophagi are the main characters. The first floor exhibits works by El Greco, Murillo and Goya, besides an Italian collection where you will find works by Raphael and Titian. Opening Hours:Tuesday-Sunday from 10 am – 5:30pm. Except on Thursdays when the museum is open until 10:00 pm, especial programs take place at this time. Check the Budapest Museum of Fine Arts website for information on temporary exhibitions. The Gold Museum provides a home for nearly a thousand artifacts from eleven of the states of today’s Southeast Asia. 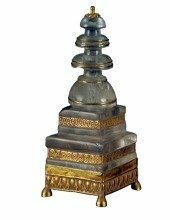 Most of these gold objects and date from prehistoric times to the 20th century, illustrating the spectrum of fine arts in Southeast Asia over the past two thousand years. This museum is unique in the world and displays 45 years of passion of Istvan Zelnik (a lover and passionate collector of South-Asian art)for the South Asian Art and Culture. An exotic tea house and tropical sculpture garden are waiting for the visitors. Address:Andrássy út 110. ( Near Heroes’ square). Opening Hours: Monday 9am -6pm,Tuesday-Sunday from 9 am – 7:00pm. Night visit: Friday-Saturday: 9:00 am – 9:00 pm. Check the Budapest Gold Museum website for detailed information. The Hungarian National Museum was the first museum of the country. It was founded in 1802 thanks to Count Ferenc Széchyenyi’s generosity who offered his private collection of coins, books and documents to the nation. The imposing Neo-Classical building houses the richest collection of Hungary’s artworks and artifacts representing its history from the time of the first inhabitants of the country (400BC) until Hungary’s recent history which is represented with photographs and documents. Address:1088 Budapest, Múzeum körút 14-16. 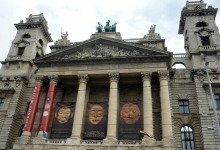 Check the Hungarian National Museum website for information on temporary exhibitions. Every year, every season Budapest Museums have their own feast, The Night of Museums. The summer festival of Budapest Museums will offer you a wonderful opportunity to visit as many museums as you want and to enjoy a night full of cultural events and programs. Each Museum organizes unique functions and exhibitions. This year there will be two days to appreciate the museums until late.